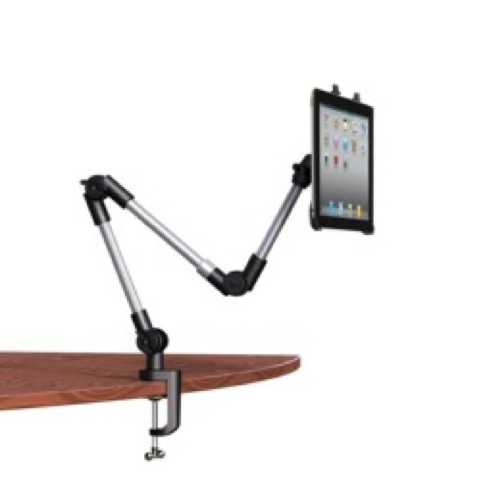 I wrote about the Justand iPad Document Camera Stand in 2012. 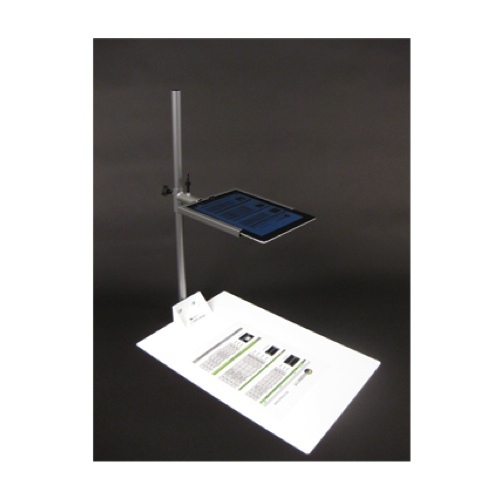 It was one of the very first contraptions designed to hold an iPad above a surface so you could use it as a visualizer. 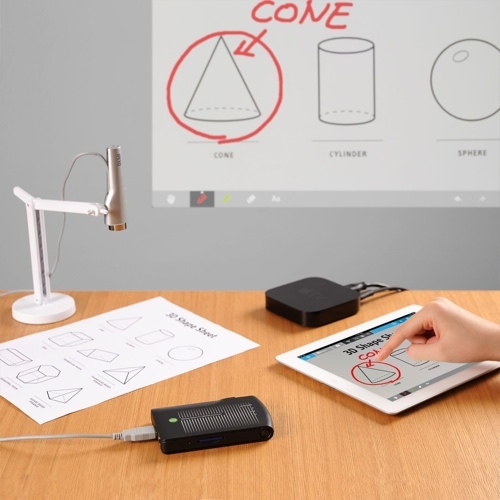 Justand's inventor, Justin Franks, has learned a lot from teachers' feedback and has released the Justand V2. Watch him show it off in this video. Justin was kind enough to send me a Justand V2. I wasn't interested in the original stand because it was not portable. The new V2 folds down and is easy to carry. 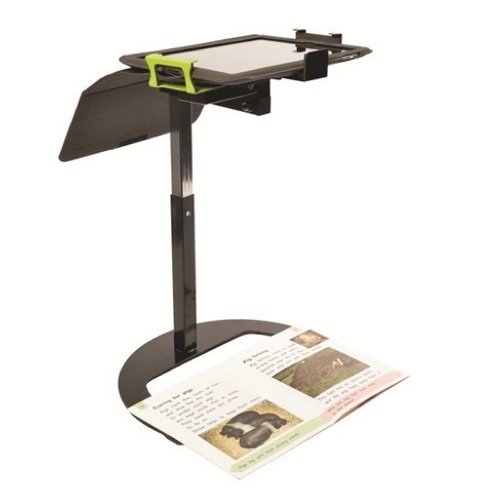 The stand is heavy, but that's a good thing because you don't want it falling over while it's holding your precious tablet. 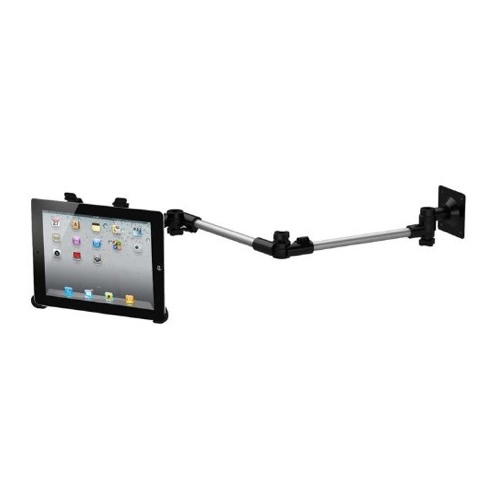 Justand V2 has an adjustable clamp that can accommodate an iPad in a case, whether you position it portrait or landscape. 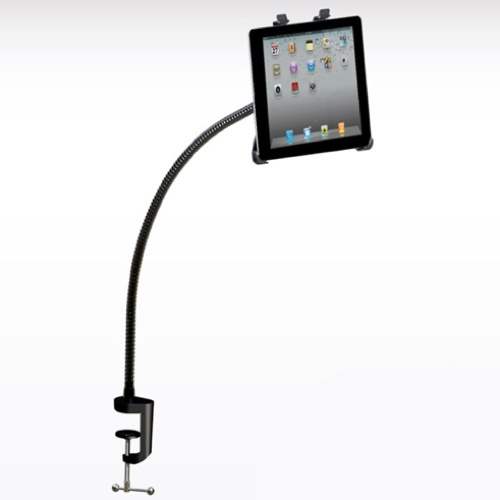 That clamp also adjusts to fit an iPad mini or an Android tablet. I like the adjustability because it means it can work with so many different devices, including future iPads. Note that the clamp is too large for an iPhone or iPod touch. The other thing that is adjustable is the height. The iPad can be positioned to get wide or tight shots of whatever is under it. This is a big improvement over the original Justand because relying on your tablet's digital zoom makes for a blurry picture. 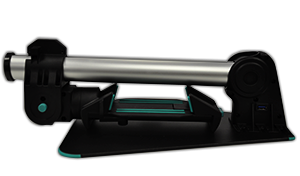 Justand V2's arm also rotates into position for use as a tripod for filming movies or for video conferencing. Justand V2 is available from ProComputing for $99. For an extra $40 you can get one with built in power, which adds two USB charging ports and a flexible light. This means you can plug your iPad into Justand V2 to charge while you use it. 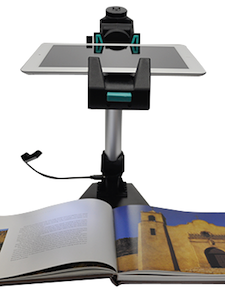 The flexible light can illuminate documents, books, and objects for better viewing. 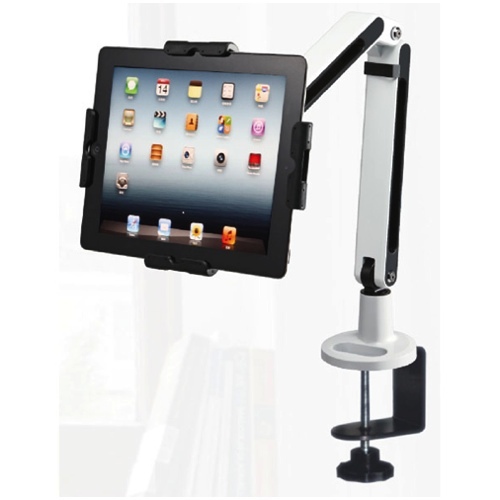 I think the Justand V2 is the best tablet document camera stand around. There are lots of other options, and many are more expensive than the V2. 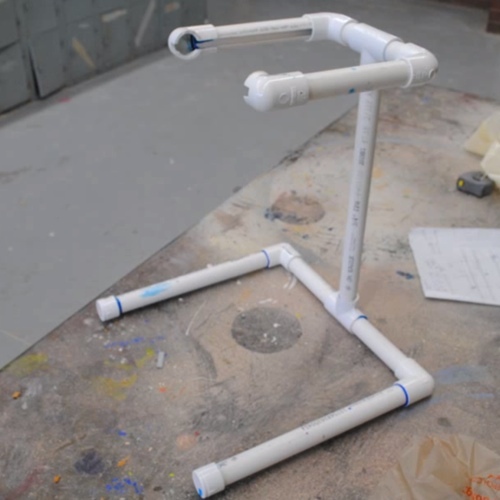 I've put together a gallery of some of the options, including two do-it-yourself videos. 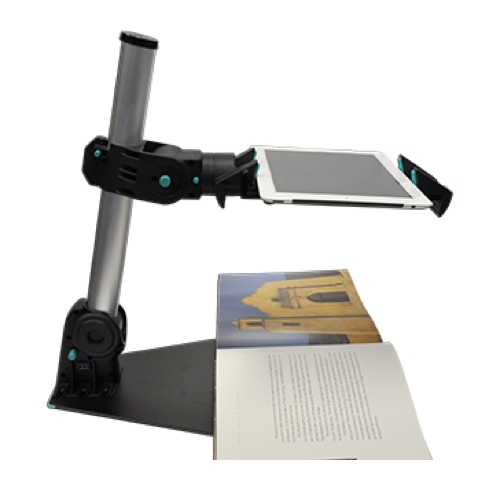 To use iPad as a document camera, you will probably want it to mirror to a projector, computer, or television Mirroring can be done wired or wirelessly. You can use a cable with an adapter (Which adapter do I need?). You can mirror through Wi-Fi using an Apple TV or using your computer through AirSever or Reflector. 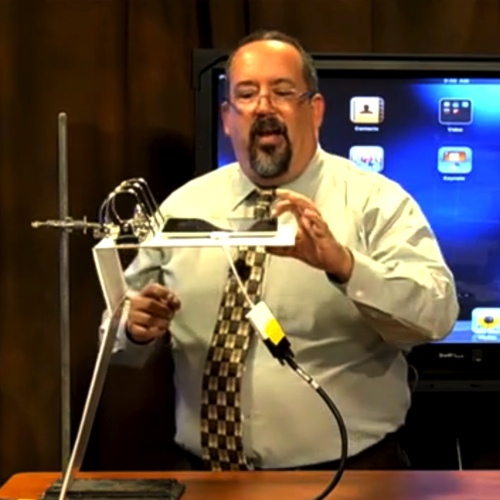 Read more about mirroring an iPad and view a comparison chart of your mirroring options. One way to wirelessly mirror some Android tablets to a projector or TV is to use a Miracast device, like the Netgear Push2TV. Read more about Android mirroring. I've looked but did not find a live video annotation app for Android. Please leave a comment if you know of one. Some of the apps (and certainly the Camera app) can record audio and video. 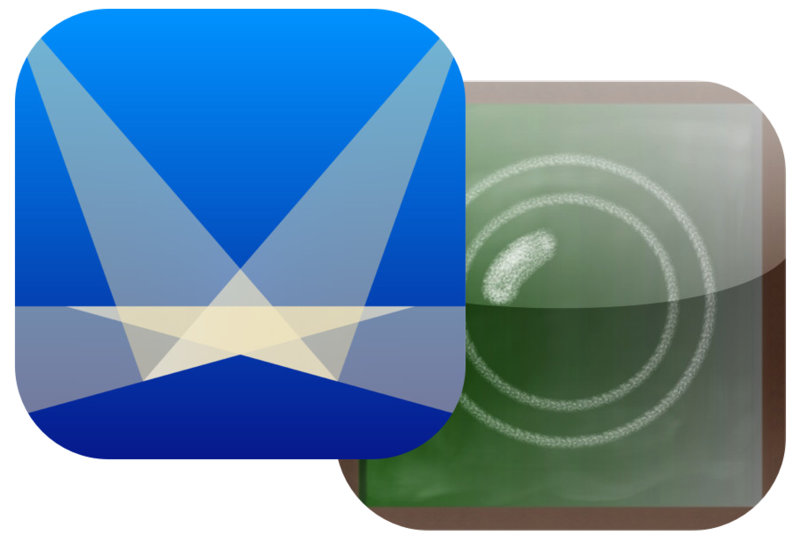 That's a handy feature for making instructional movies, videos for absent students, and flipped lessons. 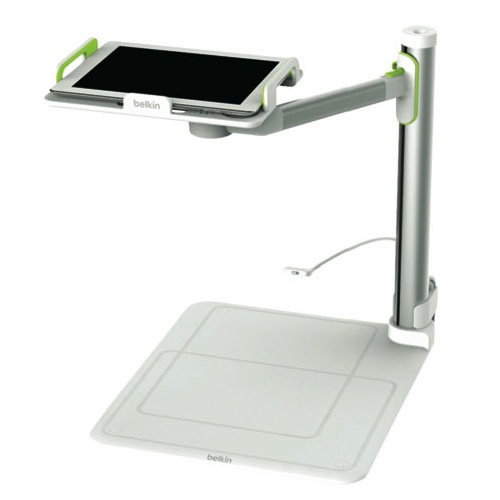 Update: Read my newest post about two portable document camera stands: Justand Go ($79.00) and Belkin Stage Portable ($87.99). Amazon, iTunes, and ProComputing links are referral links. 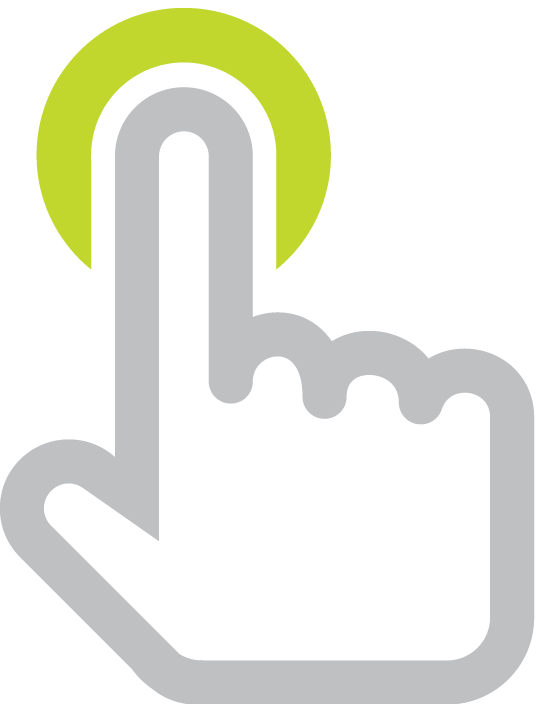 You can support Learning in Hand by making a purchase.